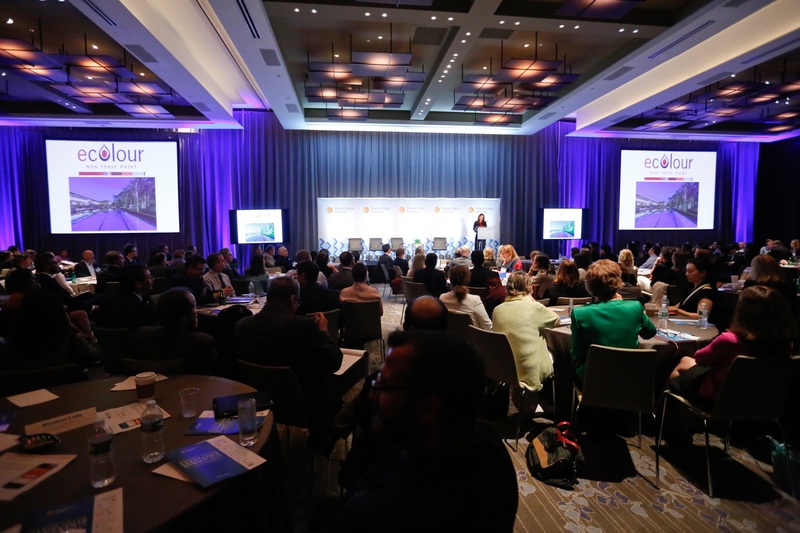 Last month I had the chance to speak at the Shared Value Leadership Summit in New York about the impact that paint is having on the air we breathe and how ecolour is addressing this challenge. Awareness is slowly growing about the impact that the volatile organic compounds (VOCs) in regular paints are having. It is well documented that that VOCs cause a wide range of health issues, from headaches to asthma to cancer. The World Health Organisation actually classifies painting as a high risk occupation because so many painters end up with lung & bladder cancer from repeated exposure to VOCs. It’s not hard to see why when you read the warning labels on regular paints. It’s not just painters that are impacted, everyone who spends time indoors is also exposed to the VOCs in regular paint. Paint will continue to outgas these toxins for years after application, even after the smell is long gone. A study of new homes by the CSIRO found that even after 12 months, they still contained 20 times the safe recommended level of VOCs. Knowing that, I always feel a particular sense of concern about the practice of parents to be painting the baby’s room just before it arrives. It’s also not hard to appreciate the legal liability that goes along with having people work with materials shown to cause cancer, then have people occupy those spaces. Also because they don’t have that nasty paint smell rooms can be reoccupied straight away, which means better asset utilisation. This is particularly important for hotels, hospitals (for example a bed in an intensive care unit can cost around $10k per night), and of course anyone who doesn’t want to have to move out of their home while they repaint. Some companies do have “low-VOC” ranges, but they can still be 7.5% VOC and call themselves “low-VOC”. In the US, you can have a product that is 5% VOC and call it “zero-VOC” for some reason (a practice we have noticed that some companies in Australia have adopted – always be sure to read the fine print!). However ecolour is genuinely zero-VOC (mathematically speaking). More about our products can be found at: www.ecolour.com.au or on facebook.